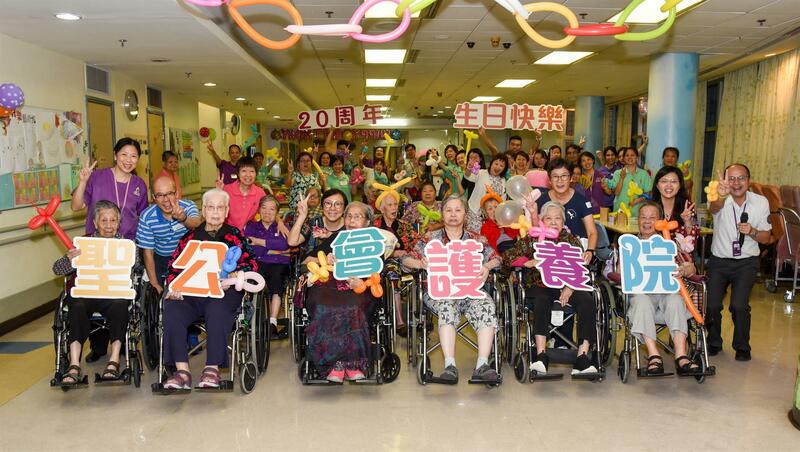 Hong Kong Sheng Kung Hui Nursing Home at Wong Tai Sin celebrated its 20th anniversary on 22 September. Ms Micy Lui, District Social Welfare Officer (Wong Tai Sin/Sai Kung), was invited to the celebration. The nursing home building will undergo an upgrading project in the near future to improve its facilities, so residents can enjoy a more modernized and comfortable residential environment. It will also join the Special Scheme on Privately Owned Sites for Welfare Uses Scheme to expand the building with a new wing so that the total number of beds can increase from the current 280 to four hundred, and day care services can be provided as well.